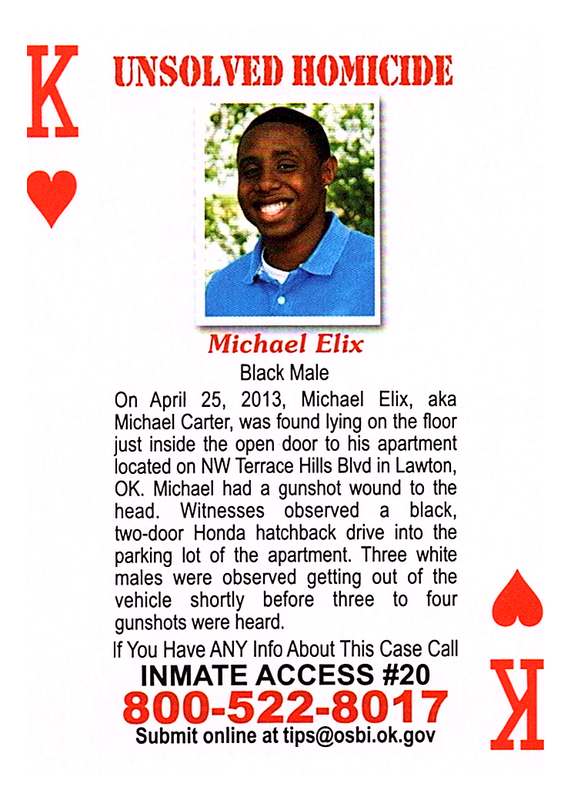 On April 25, 2013, Michael Elix, aka Michael Carter, was found lying on the floor just inside the open door to his apartment located on NW Terrace Hills Blvd in Lawton, OK. Michael had a gunshot wound to the head. Witnesses observed a black, two-door Honda hatchback drive into the parking lot of the apartment. Three white males were observed getting out of the vehicle shortly before three to four gunshots were heard.